Pearls have been the fashion staple of preppy preps for generations now and remain, even today, as the accessory of choice at country clubs across the United States. However, these days women both inside and outside the country club arena are finding new ways to wear their mothers' pearls and it's as far away as you can get from a strand around your neck. 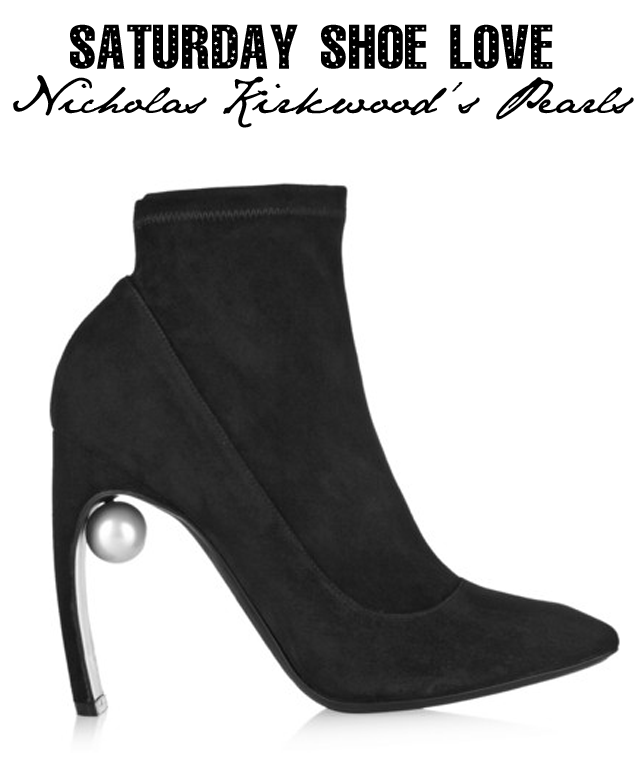 Just take one look at the latest from Nicholas Kirkwood and you'll find pearls popping up in the most unexpected, yet totally fabulous places. Kirkwood's latest shoe style features an oversized pearl that has found its home right in the arch of your foot. It's totally unexpected and fabulous - although we must admit we do think there might have been a bit of inspiration from a certain pair of Chanel Pearl shoes we love and adore.